Take a road trip from Niagara Falls to Quebec City, covering some of the top tourist destinations in Canada. Starting from the home of the famous Falls, the Niagara Falls, visit the dynamic, multi-cultural metropolis of Toronto, then to Kingston, a UNESCO World Heritage Destination and the Gateway to the 1000 Islands. Continue to Ottawa, Canada’s Capital. Second most populated city of Canada and Quebec’s economic and cultural capital, Montreal is the penultimate destination, and end your trip at North America’s oldest and most magnificent settlements, Quebec City. This is perfect road trip for those coming from Niagara Falls – US, en-route to Quebec City. You can leave Canada at Montreal, continue onto NY to make a Eastern Canada/US Road Trip. Days Required: Minimum 6 Days/5 Nights for quick tour to 8/9 days for a more in depth tour. Begin your journey in one Canada’s most famous tourist destination. In addition to the spectacular Niagara Falls, the Niagara region offers fancy wine estates, museums, casinos and culinary delights. Enjoy a walk along the Falls Promenade, delighting in the sights and sounds generated by the thundering Falls. 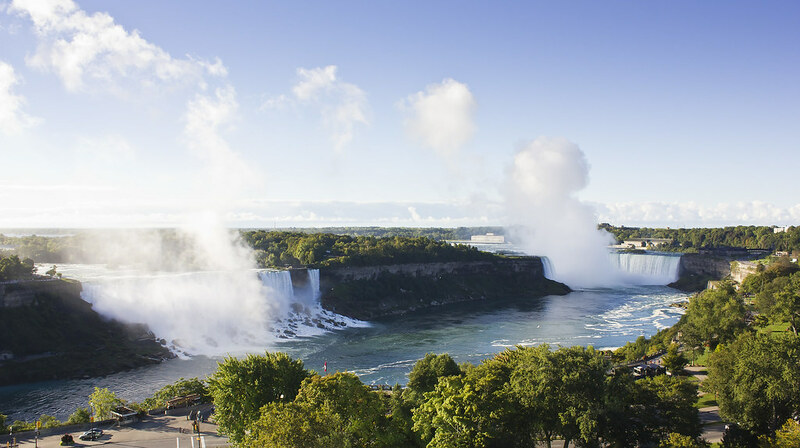 To accentuate the experience and depending on the budget, join for one of the tours/experiences/cruises like Niagara’s Fury, Journey Behind the Falls, Hornblower Niagara Cruises or even a helicopter ride. There are plenty of eating options at both The Table Rock visitor centre (beside the Falls and Clifton Hill). After lunch, you may enjoy a walk along Clifton Hill’s world famous – Street of Fun by the Falls. Home to the Canadian Midway, Movieland Wax Museum of the Stars, Ripley’s Believe It or Not Museum and the Niagara SkyWheel. It’s a major amusement area and fun for all ages. Or you can visit the Botanical Gardens, home to over 2,400 roses, symmetrically manicured gardens and horse and carriage tours. Also located on the grounds is the Butterfly conservatory where you can take a self-guided tour surrounded by over 2,000 free flying butterflies. In the evening, you may head to Fallsview Casino, or prepare for a jaw-dropping, breath-taking magic experience at the Greg Frewin Theatre or take a night stroll along the promenade seeing the illuminated Falls and watching a spectacular fireworks. Optional: You can also head to Toronto tonight. After a nice hearty breakfast, pack up the car and prepare for the dynamic, multi-cultural metropolis of Toronto. Every year the city’s events and festivals draw people from all over the world and the perennial attractions are sure to be on most traveler’s bucket list. Between film festivals, culinary events, major sporting events, live music and theatre, you’ll have a hard time deciding what to see and do during your stay. Take a drive along the Niagara Parkway and head towards Niagara-on-the-Lake. Discover the birthplace of Ontario’s wine industry and the “prettiest town” in Ontario. Along the way, you will find wineries you can stop in and local fruit ready to be picked. Here are some places you may like to stop and visit. Brock’s Monument National Historic Site, Fort George National Historic Site, and Konzelmann Estate Winery. The drive should take approximately 2 hours (add 2 to 3 hours if you are visiting NOTL places). From NOTL make your way to the Queen Elizabeth Way (QEW) and drive east towards Toronto. This will bring you right into the downtown and the Lakeshore. 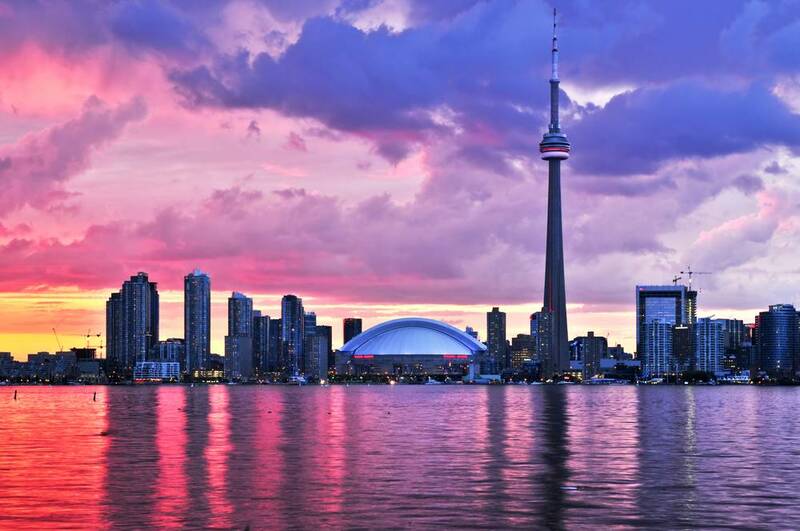 Once you have arrived in Toronto and checked into your hotel, park the car and walk or take public transit to the most iconic landmark in Toronto, the CN Tower. If you are travelling with children, you may wish to visit the Ripley’s Aquarium. If you want to enjoy Toronto’s waterfront, leaving CN Tower area, walk South following Lower Simcoe St to reach Toronto Waterfront, and enjoy the the views of Lake Ontario. In summer, Harbourfront comes alive with festivals, free concerts, and so many fun activities. If you’re not too tired tonight, Toronto’s entertainment district along King St. between Spadina Rd. and University Ave. is where you can find some of the best restaurants, bars and theatrical shows. Depending upon your interest, there are many options on how to spend your day in Toronto. From Royal Ontario Museum (that boasts of more than 6 million items and forty galleries showcasing everything from mummies to blue whale skeleton) to uber-trendy stretch of big brand stores, cutting edge boutiques, art galleries and hip bars along Queen St., between Bathurst and Yonge st., you have plenty to fill your day! Leave for Kingston/1000 Islands in the evening (Start before 3:00 PM/ after 7:00 PM) if you don’t want to get caught in rush hour traffic). Leaving Toronto behind today, get back on the QEW going east until it connects with the Don Valley Parkway (DVP). This will take you north to connect with the 401 east and your next destination Kingston. 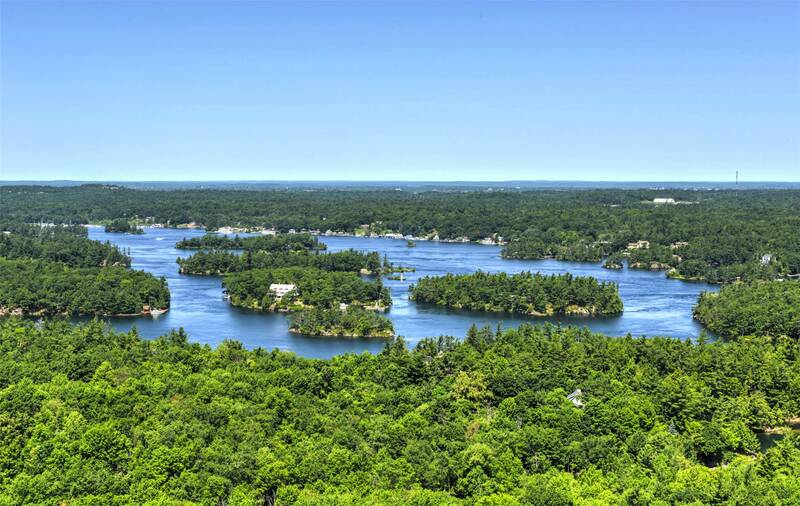 A UNESCO World Heritage Destination and the Gateway to the 1000 Islands. Kingston is alive with cultural celebrations and more than two dozen museums, historic sites, and art galleries to explore. It will take roughly 3.5 hours. There are quite a few ON Route (rest stops), where you can stop can have fast food as dinner. Check out from your hotel in the morning! And Start your day by going on Kingston’s bright red Trollies. The hop-on- hop-off guided tour will take you through all of Kingston’s historic old town and shopping district as well as Fort Henry and Queen’s University. 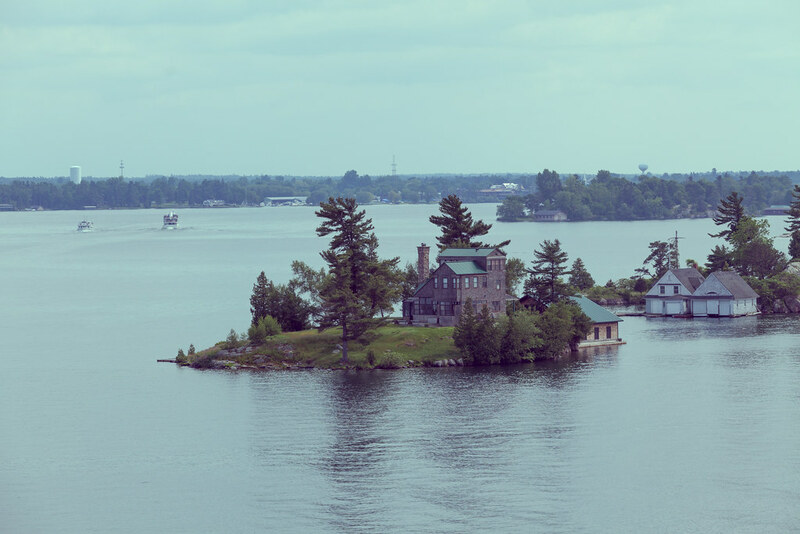 In the afternoon, board a 1000 islands boat cruise you can discover and experience the heart of the 1000 islands fairytale castles, lighthouses and mansions all accompanied with true stories of pirates, bootleggers and the Gilded Age rich and famous who vacationed there. There are two options of cruises to choose from. A 90-minute discovery cruise or a 3-hour Heart of the Islands cruise with or without lunch (starts at 12:30 PM). After the cruise jump back in the car and prepare for you visit to our nation’s capital, Ottawa. This year marks a special time as Canada celebrates 150 years and the city will be celebrating with many fun, interactive and educational events and celebrations. From Kingston, return to the 401 east and drive for about an hour until you see the exit for the 416 north. Exit here and follow the signs to Ottawa. It should take roughly 1 more hour. (Tip. The 416 does not have any rest stops so it’s best to make a stop at one before you leave the 401). Continue following the 416 until you see signs directing you to the 417 and Ottawa downtown. The 417 will bring you through the bottom of the city with many exits to take depending where you are staying. Once you have located your hotel and checked in, take a break and enjoy some dinner.. The Byward market square is a great option where you can find an array of fresh produce and cheese from local farmers as well as a large selection of vendors selling all sorts of international dishes such as sushi, curries, tacos, pastries and much more. You are sure to not leave hungry. If you are not tired explore Parliament Hill! This area is especially lovely at night when from July 11th to September 16th when you can witness a free 30-minute sound and light show highlighting the country’s important milestones. Get to Parliament Hill, bright and early and get tickets for the guided tour of the Parliament and go on aself guided tour of the Hill. If you are visiting in Summer, you might see The Changing of the Guard Ceremony at around 10:00 AM at the hill . Then depending on your interest, you can visit any of the museums in like Canadian Museum of History, War Museum, National Gallery or even go on another cruise on the historic Rideau Canal. This evening’s road trip will take you out of Ontario and into the province of Quebec. Time to practice your French! The first stop will be Montreal. The journey will take approximately 2.5 hours along the 417 E which will bring you directly into Montreal downtown. Head straight to your hotel, check-in and get some rest to prepare for a full day tomorrow exploring Canada’s second most populated city and Quebec’s economic and cultural capital. Known for its rich history and high standard of living. Rise and Shine! Start your day wandering through one of North America’s oldest urban areas at Old Montreal. First established by French colonialists in the mid-17th century, the neighbourhood retains much of its old-world charm and you can lose yourself in the web of cobblestoned streets and laid-back atmosphere. Sadly, all great trips must come to an end but not before one last final stop. Picking up your car and find your way to the Autoroute Ville-Marie 720 E going in the direction of Quebec, your next and final destination. The journey will take approximately 2h45min. 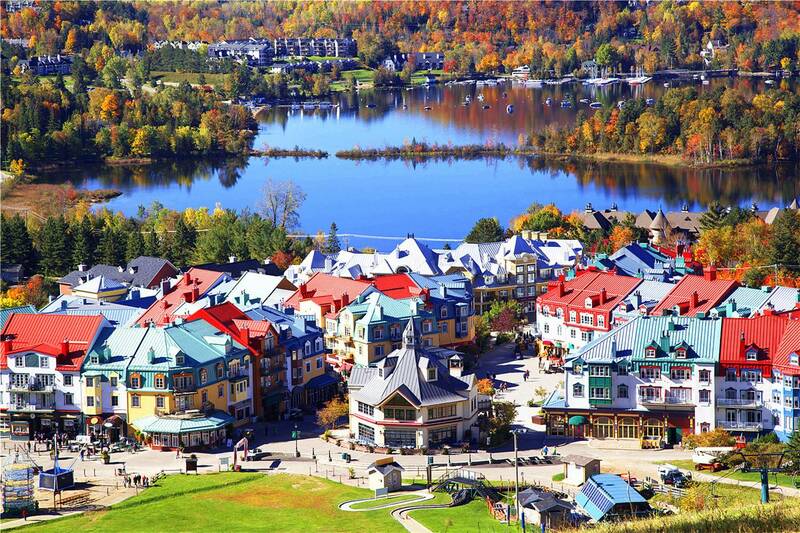 Situated along the lovely Saint Lawrence River in the mostly French-speaking province of Quebec. A charming and romantic European inspired fortified city with pedestrian friendly cobblestone streets, enchanting chateaus and historic old forts. A UNESCO World Heritage gem and the oldest city in Canada. Learn about the 1759 battle between the French and British at the Plains of Abraham (the site of the 1759 battle between the French and British), explore Old Quebec, a UNESCO World Heritage site, take a selfie at the Fairmont Le Chateau Frontenac, Notre-Dame de Quebec Basilica Cathedral, and other charming attractions of the city. Plan for two days in Quebec City, if you can spare the time, on the second day visit Parc-de-la-Chute-Montmorency: the most spectacular falls in the province and one and a half times higher than Niagara Falls. If you are starting/ending from/in US (say NorthEastern States of the US), from Ottawa, drive to Quebec City and then visit Montreal. Ottawa to Quebec City Drive is ~ 5 hours. Do the drive on the morning after your Ottawa Sightseeing Day. I absolutely love this road trip and would like to be able to print it out. Is it possible? Aslo what would the weather be like in March of 2018? It is better to do in May, if you can. Whether in March can vary — snow storms to cool spring like temperatures. Cruises will not be running and many places will open only by May. Awesome trip! 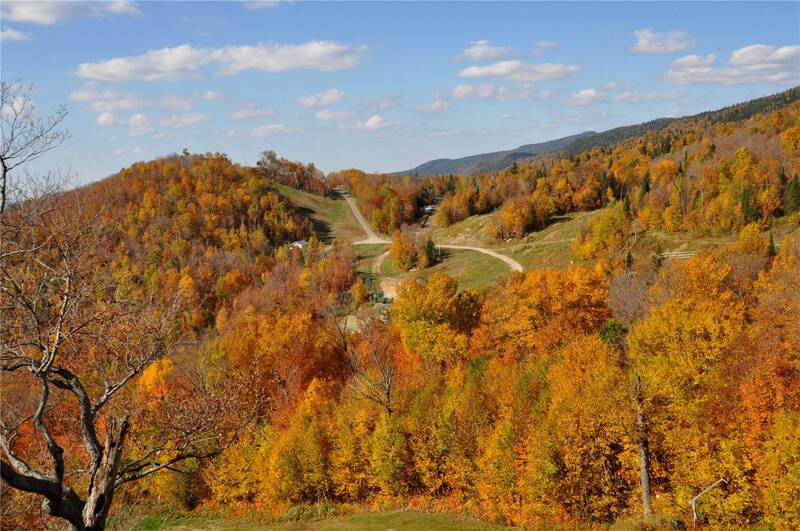 Do you have recommendations for lodging? Thanks! We are planning a trip to Canada and I love this itinerary! My only fear is we have two toddlers with us, One is 2 years and other is 4.5 years old. Do you think this will be a good trip with little kids? How much total time we are looking to spend on road/car? Thank you for this great post!! Yes, but temperament depends on the kids. The travel time from Niagara Falls to Quebec City is only 10 hrs. Each day drive is only 3 hours at the maximum as per this itinerary. We suggest you add an extra day or two, in case you need it. How are the roads like in the winter (Dec 16th onwards)? Should we not even consider doing it? We want to end up in Quebec City for Christmas. I’m hoping the roads would still be passable and safe’ish. Also, are the roads generally flat and not cliffy and windy? You will be travelling on one of the busiest highways in Canada. If at all it snows, it will cleared immediately. At the most, you will be stuck in traffic for a few hours. Make sure that the vehicle you rent has winter tires. You are not in mountainous terrain.